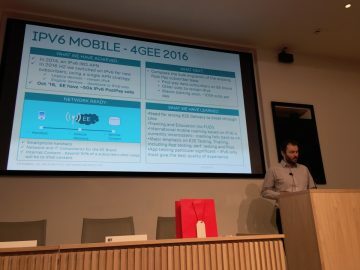 The 3rd UK IPv6 Council Annual Conference was held at the IET in London on 31st October, 2016. 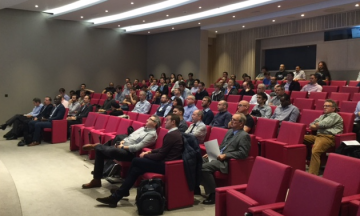 The event was attended by around 100 people, from industry and academia. 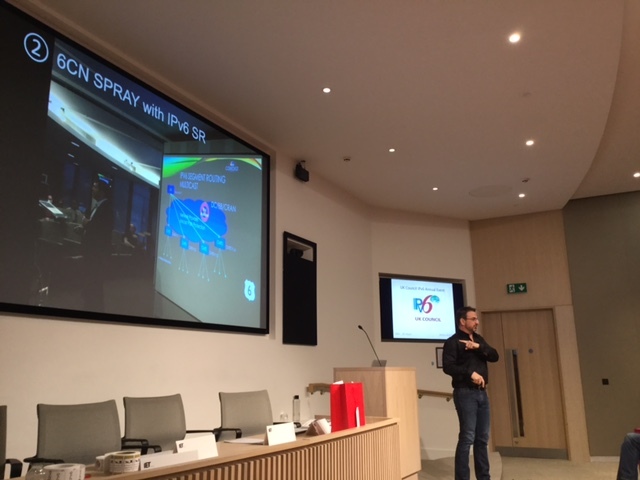 The agenda and slide deck PDFs follow, with some photos below. 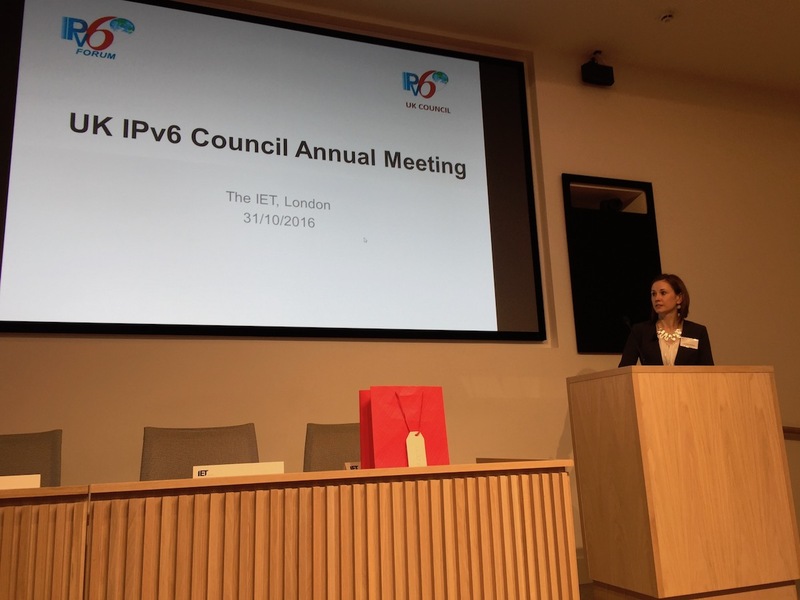 Veronika McKillop opens the meeting. 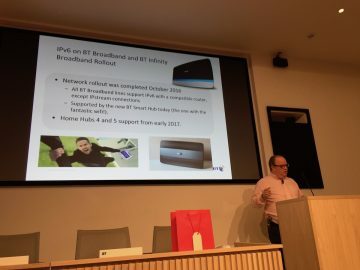 Neil McRae talking about BT’s IPv6 deployment. Nick Heatley explains IPv6 support on EE’s mobile service. Ian Dickinson shows the growth in IPv6-enabled subscribers. 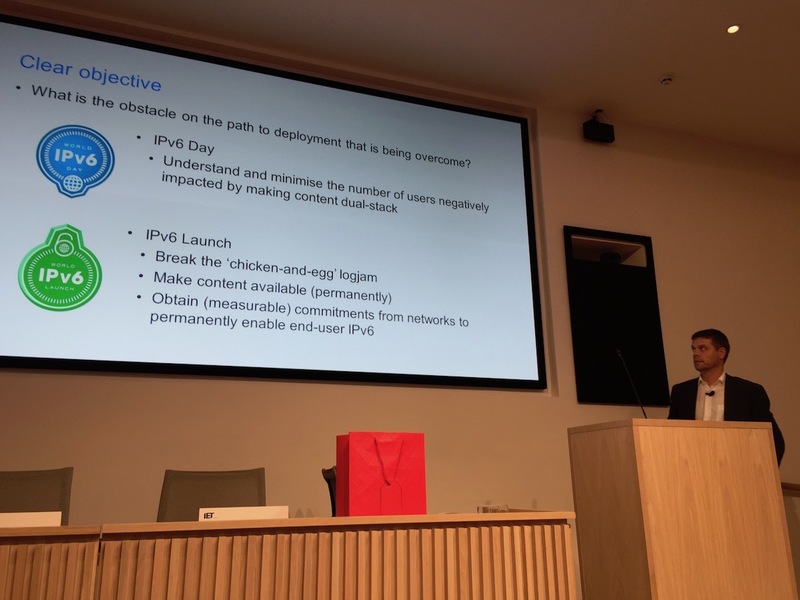 Mark Townsley explains IPv6 Centric Networking principles. 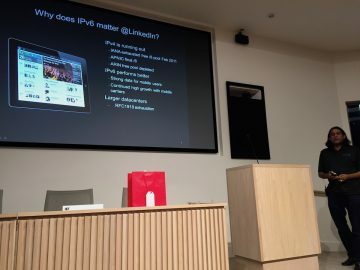 Zaid Ali explains the importance of IPv6 to LinkedIn. 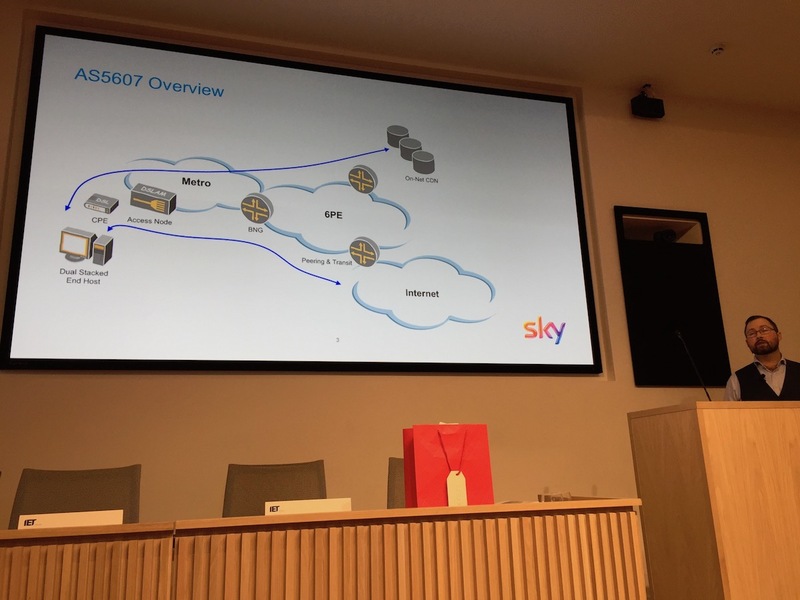 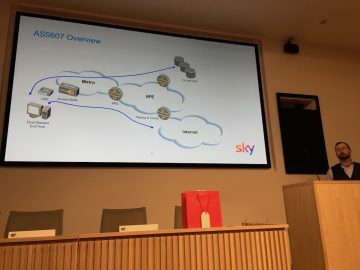 Richard Patterson talks on Sky’s IPv6 deployment experiences. 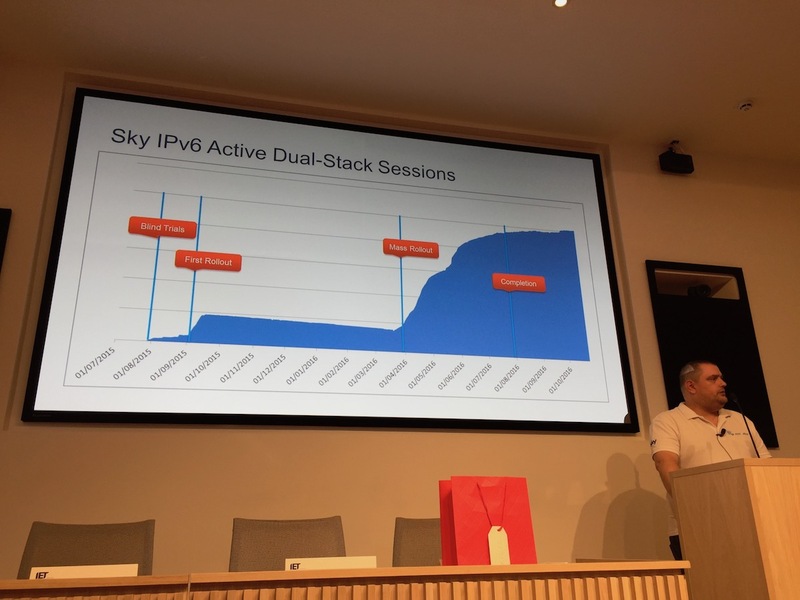 Mat Ford describes ISOC’s role in IPv6 deployment measurement. 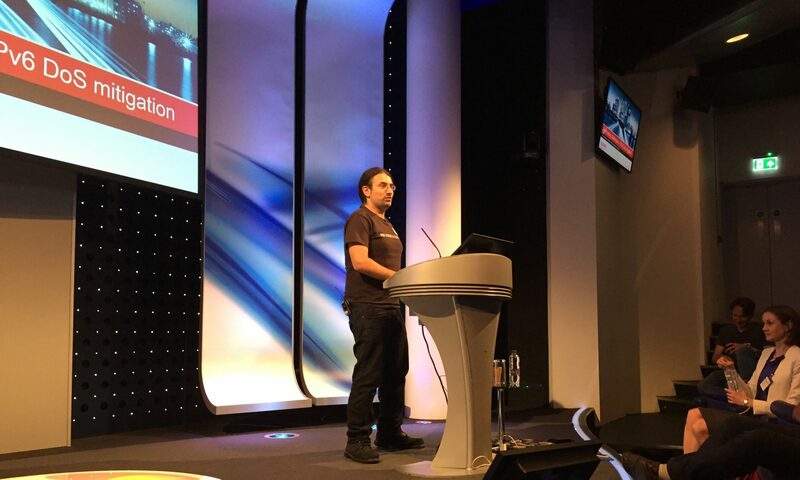 Our thanks to the IET.tv team for the video recordings. We also thank our sponsors for this event: Cisco, Axians and the IET.